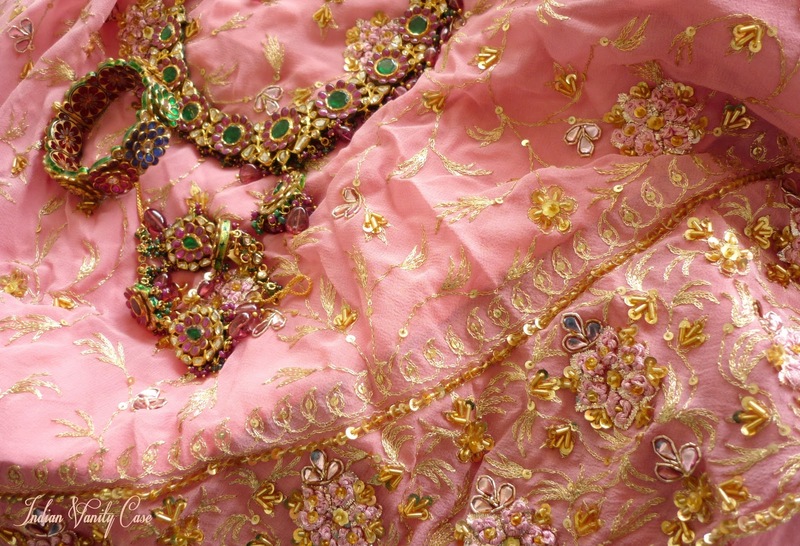 Here's a sneak peek of what I wore on my our Indian wedding day in 2007. Years ago, but it seems like yesterday. You know? 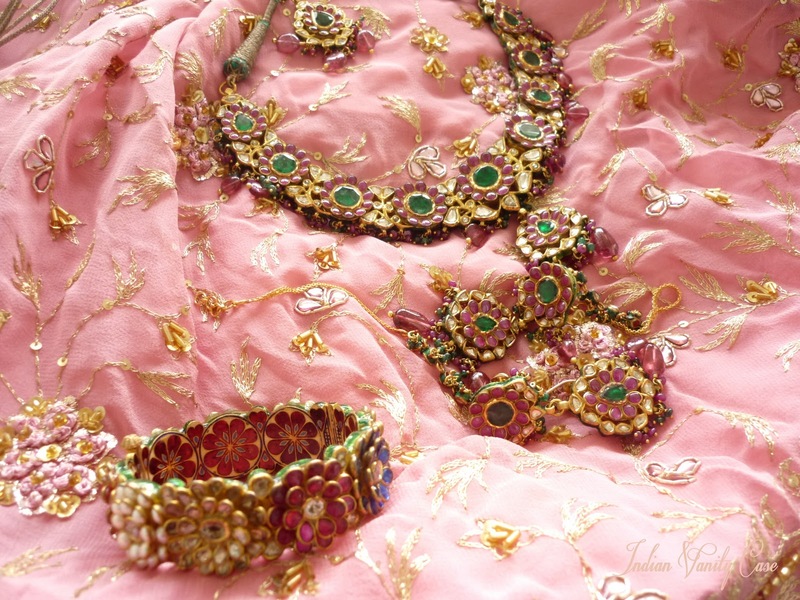 I haven't seen the lehenga & jewelry since then coz they weren't with me, I just collected them about 2 weeks back. I had forgotten what they look like! 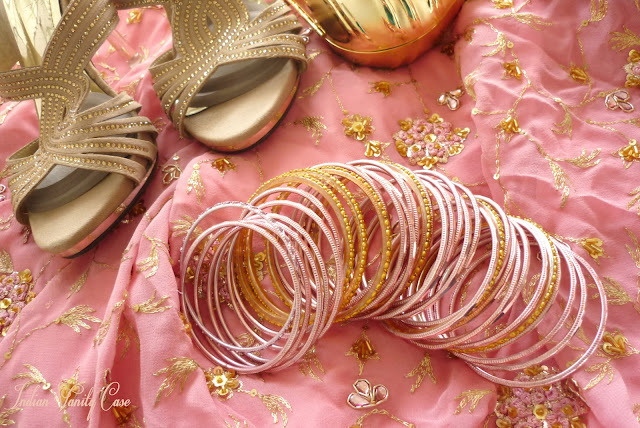 Bangles ~ Babu Churiwalla, Lajpat Nagar Market New Delhi. Shoes ~ Hometown. Not the ones I wore on my wedding, Just put these coz I don't know where the other ones (strappy gold sandals) are. But these match! "No! You MUST do it lazy/cold woman!" R u married to a punjabi ? snb- will do that soon! I totally love yr set...its gorgeous!!! That's a beautiful outfit! 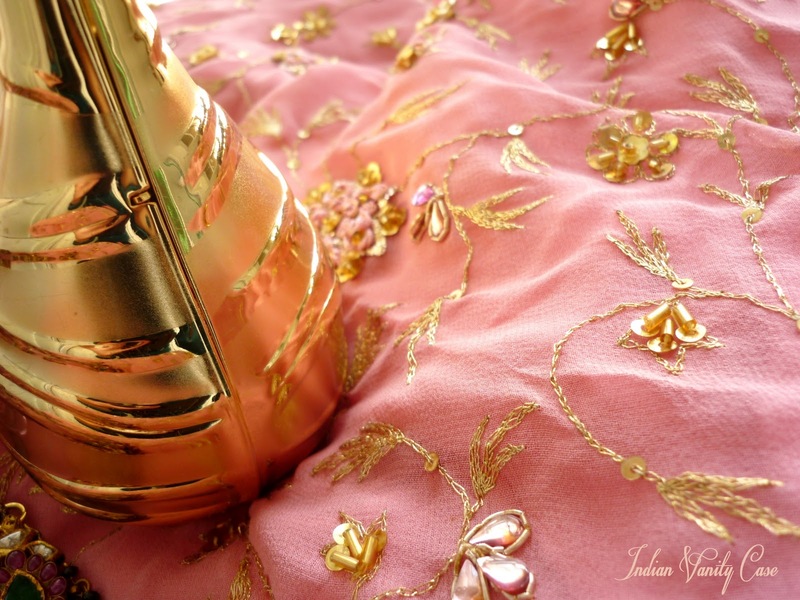 I love how you chose this lovely pink over the more conventional and many times gaudy red. 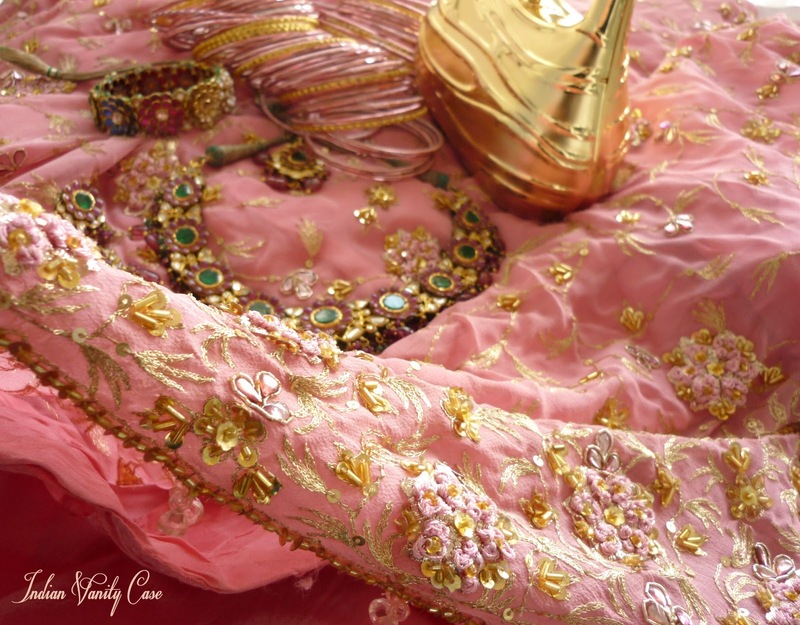 It is sooooo elegant Cynthia,I love indian outfits with those pretty jewellry,oh god how gorgeous!!! I realllyyyy like the jewellerryyy! I went to an Indian wedding once. Such elaborate decorations. 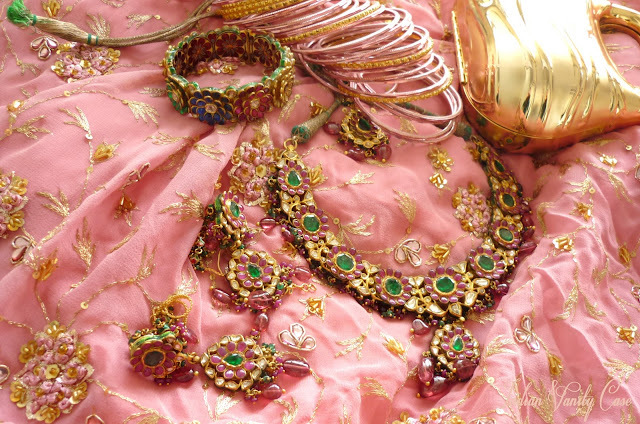 Love all the colors and jewels. What a truly beautiful outfit! You would look absolutely stunning in it. Can't wait to see the pics! Absolutely gorgeous! I love the intricate detailing on Indian clothing. =D Hope you have been doing well, Cynthia! I want to see a picture of you in all this! Since I've been following you, I'm dying to see the unique way/s that you will put the outfit together! Special Request: Full Length Photo!!! Hey Cynthia, I have been a silent reader of your really lovely blog.Just fe i loe with your jewellery, i hope you dont mind me asking where exactly did you get this in jaipur, like the name of the shop/seller. Absolutey beeeeeautiful ! I am sure you looked lovely on your d-day.best wishes. CZ.. please do post your marriage pics.. we wish to see your bridal outfit..
Can't wait to see everything in full! I think indian weddings are the most beautiful. From the clothes to decorations to food! Things look like a dream! awww such a nice post, you should put a picture of you on your wedding day,you would have made one gorgeous bride.dying to see it. and what beautiful jewelry. ummap- Thank you! I don't mind at all, but will have to find out from m-i-l, I have no idea!